This annual event hosts an open hog show as well as youth educational events including, pork judging contest, skillathon, PowerPoint presentations, showmanship clinic and more. 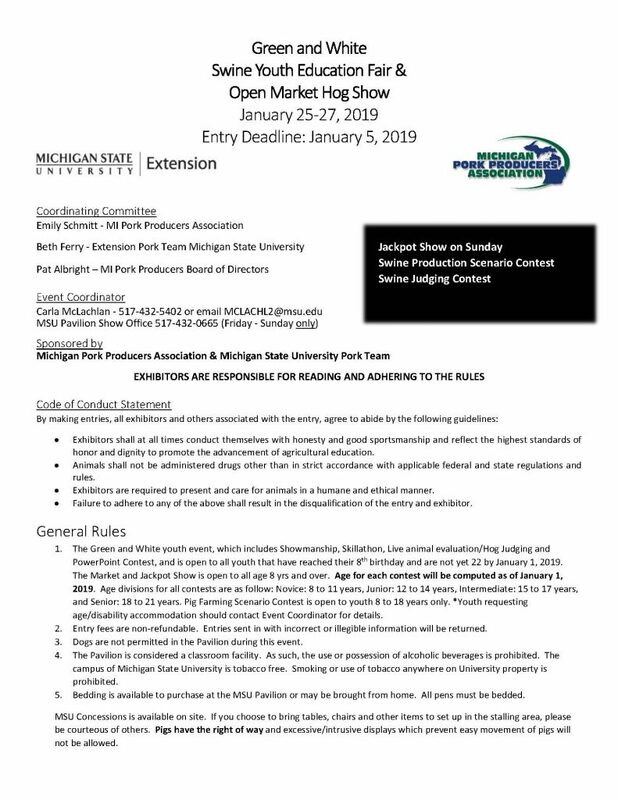 Entry deadline is January 5 (no late entry of hogs is allowed). See below for Powerpoint Contest Score Sheets.